We all loved the original series of The Bletchley Circle (2012-2014) about four women who met cracking German codes during World War II and then teamed up after the war to solve civilian crimes. 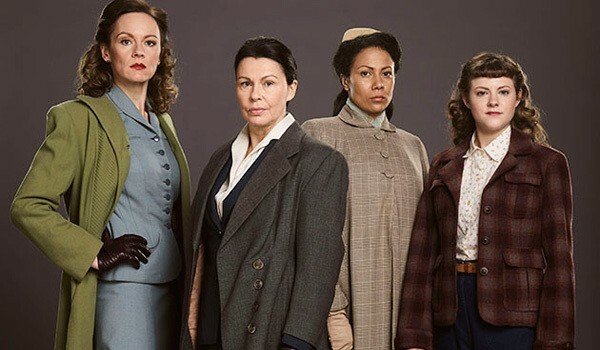 So we were excited when BritBox announced that its first original series would be The Bletchley Circle: San Francisco — an extension of the series, set in 1956, when two of the British characters move to America and join up with other female ex-WWII codebreakers to solve crimes. The returning characters are Jean McBrian (Julie Graham), who was the older, den-mother to the group, and Millie Harcourt (Rachael Stirling), the outgoing woman who vowed to ‘never be ordinary.’ It makes sense that the two unmarried women are the ones to leave their home country. They learn about a series of murders in San Francisco that are suspiciously similar to a murder of a wartime colleague, and off they go to try and solve the case. 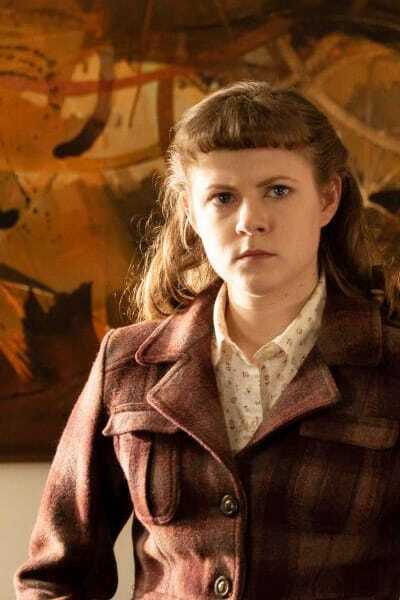 They meet Iris Bearden, who lead a team of female codebreakers at the Presido, and Hailey Yarner, a young mechanic during the war. Much like the earlier series, the mystery is solidly plotted and suspenseful, but what really makes the story fascinating is, much like the original, the setting and the characters. 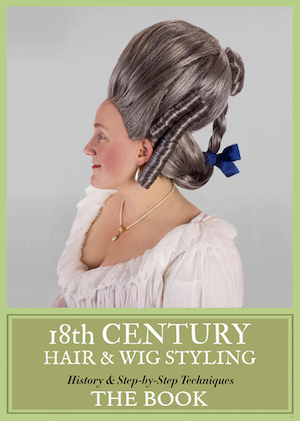 Each woman is a fully realized person, believable, interesting, and historically accurate. Jean is at least a decade older than the other women, and she has the most job experience and skills of any of them, yet is consistently turned down for advanced positions due to her gender. Millie struggles against conventionality at every turn. The deep sexism that these women face is woven throughout the series in a way feels very of the period while also making subtle points about today. The new characters are likewise nuanced. Iris is an African-American women and is married with two children. Her family lives in the Fillmore District, which was undergoing redevelopment in the 1950s. 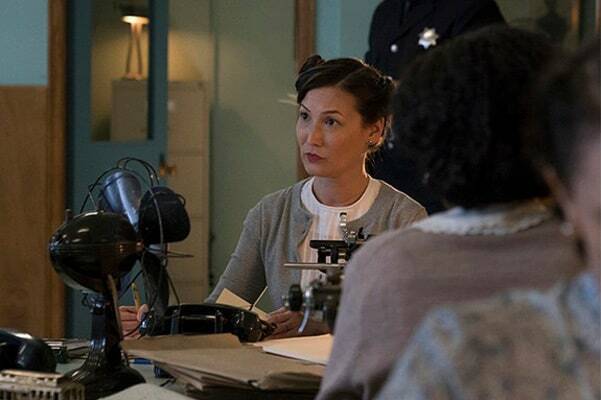 Even another ex-codebreaker helps them occasionally, Olivia Mori, a Japanese-American woman now working at the San Francisco Police Department. Among other things, she points out that the Fillmore was formerly a Japanese part of town before WWII and the internment camps. 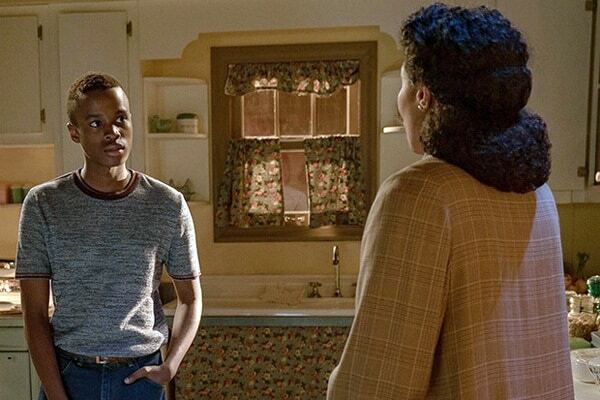 It’s little scenes like this that give historical context to the show, and, for a San Francisco Bay Area native like myself, feel reflective of current racial and housing issues in the area. So, costumes? Yeah, they exist, but the clothes aren’t flashy. These women and the people they associate with are middle-class 1950s folks, going about their everyday business. Not a lot of cocktail parties or such. Similar to the original series, the fashions are simple and sober, accurate, getting the job done. Probably could use more hats on everyone, but otherwise, it looks OK.
1956 is kind of the cusp, a little before what we think of as the ’50s, iconically. It’s not sock hops and poodle skirts, you want to keep a bit of a foot into what Bletchley was in the U.K., so it’s more pencil skirts, more streamlined, a bit more architectural. I decided to keep the palette. ’50s colours are amazing, but you have to be careful because a lot of the ’50s colours are not good on people’s skin tones so you are restricted to more blues, yellows, greens for the palette and tone. I wanted it to be bright and exciting because it’s such a fun and colourful time, but I also didn’t want to detract from people, so it’s taking that vibrancy that was a direct contrast from England and taking it down ever so slightly to make it fit. I wanted a good transition from England to here, and still being able to make it look like the land of milk and honey. My only complaint? I need more! BritBox is only rolling out one episode a week, which feels crazy slow. IMDB says that eight episodes were filmed total, and there’s only a couple available so far. But it’s really bingeable and could easily be watched faster! These are great characters, and the first mystery was wrapped up in two eps, which felt like a great setup for more stories with the team. 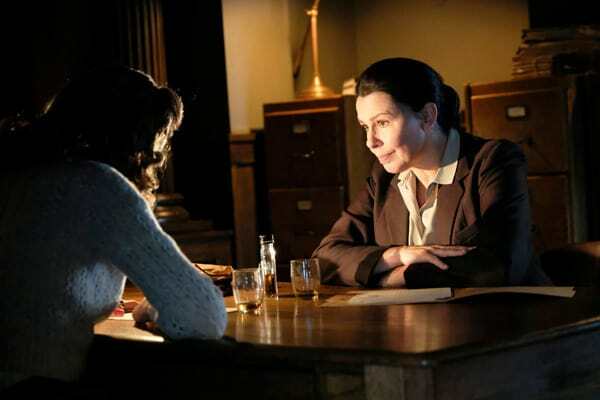 Have you watched The Bletchley Circle: San Francisco? Not available here yet. But a local PBS channel is showing Nicolas Le Floch, a late 17th-c investigator. Can’t quite pin down the time period. 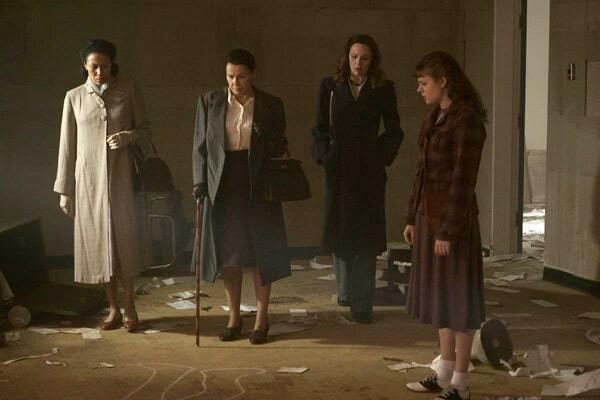 The first Bletchley Circle series on on my watchlist. Hope This edition shows up on Amazon Prime. I haven’t seen it yet but it’s definitely on my list. I wish Britbox let you download like Netflix does. There’s a cocktail party in the 2nd (?) episode with some very pretty and colourful dresses. Maybe the 3rd ep? I watched the 1st two that aired (wrapping up the 1st mystery) & wrote this, then the 3rd aired & I haven’t caught up with it! I’m watching it on Britbox thru my Amazon Prime membership. What I’ve seen so far is so nuanced, thought-out and begs for more. I’m hooked after the first 3 episodes. Well, they had me at the first one. I really love the cast. Everyone is so perfect. I’m wondering when Millie is going to discover her cousin, Edward, is Gay. The three new women are so fully developed. 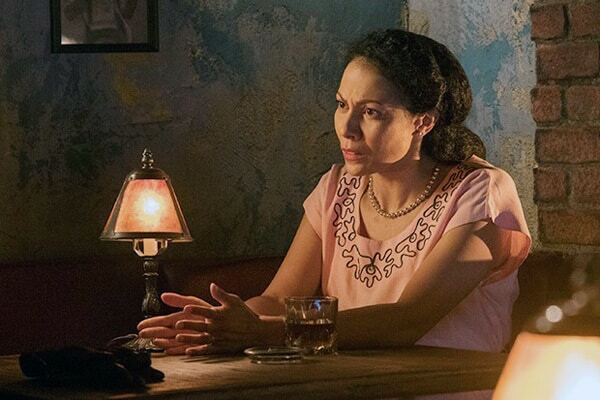 Iris is discovering that she denied so much how brilliant she is was a disservice to her family, her race and finally herself that she won’t be doing it in the future. Even her military husband knows this. And Hailey is just as brilliant. I really do appreciate how they are integrating the coming Viet Nam issue, racial and gender equality. Hope for a second season. Yes, yes, yes. I love these characters so hard! And the socio-economic setting feels very historically accurate, it’s done with subtly & grace, not heavy-handed. Excellent writing & acting! Hope I can get my paws on it soon. Re: hats. When I was a little girl in early 60s San Francisco, I had to wear a hat and gloves to go downtown for lunch with my grandmother. SF was still pretty formal, so, yes, hats. Exactly — hats are the only thing missing. Sometimes they show up on characters, but it should be more consistent, & you’d see them in the background on most everyone. I’m guessing the production just didn’t have the budget; pretty common to not get all the accessories right, alas. thanks for this article! I went and binged the entirety of the original series yesterday, I loved it! The pink cornelli work top that Iris is wearing in the photo above is very 1949 – Sears put out a lot of styles like this in that year. I did a bunch of research on a particular outfit being worn in a court photo from that year and found the very suit! This makes sense though as I think fashion kinda levelled out after the war and things lasted longer.